For most people, the buying of a new home, or the selling your existing home can be one of the most stressful times of your life. Apparently only divorce comes higher. Our residential property team understands this. They also understand the importance of communicating with everyone involved in the process, the importance of acting quickly and efficiently so there are no delays and most importantly, in providing a low cost value for money service. With property prices at an all-time high, buyers are finding it increasingly difficult to raise the 20% deposit needed to secure a home. The government is aware of this problem however, and has initiated the Help to Buy Scheme (HTB) as a way to help those without a large deposit purchase their first property or move into a new home. Do I Qualify For Help To Buy? Have a deposit of at least 5%. Be looking to purchase a home worth £600,000 or less. Be intending to live in the chosen property most of the time. Once these criteria are satisfied, there are two parts of the scheme to choose from. The mortgage guarantee effectively provides an insurance policy for mortgage lenders. The scheme allows buyers to put down a deposit of as little as 5% on a home worth less than £600,000. The government will, in turn, guarantee the lender any mortgage borrowing above 80% of the property’s value if any problems with repayment arose. The mortgage lenders are therefore taking the same risk as if you had a 20% deposit. As a result, whilst mortgages may not be any cheaper, they are far more readily available and provide a dramatic increase in choice for borrowers. Help to Buy equity loans are only available for those buying a newly constructed home worth under £600,000. Provided you have a deposit of 5%, the government will lend up to 20% of the property’s value as an equity loan, meaning you only have to raise a mortgage of 75% for the rest. As you would only be borrowing 75%, as opposed to 95%, you will therefore hopefully have access to a better mortgage rate from your lender. For the first five years, your equity loan will be interest free. From year six onwards, an admin fee of 1.75% of the loan is charged and this will increase each year in line with inflation plus 1%. It is important to remember that you are only repaying the interest at this point, not the actual loan. Full repayment is expected when you either sell your house, or your mortgage period finishes (whichever comes first). Do note that, rather than paying a fixed cash amount, you will be paying back the market value of the loan at the present time. If house prices rise rapidly therefore, be aware that you could end up repaying a lot more than you previously borrowed. 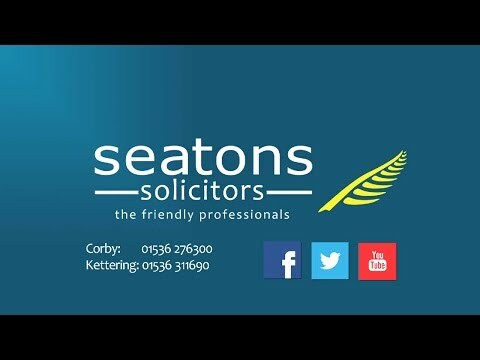 Contact Seatons Solicitors on 01536 276300 for more information on the Help to Buy scheme and arrange free no obligation chat.